Check the cemetery for location/directions and other veterans who may be buried there. Brighton -- Joel Jepson, aged 78 years, who had gained considerable renown in this part of the state on account of the fact he had lived for 30 years with six bullets in his body, died at his home here. 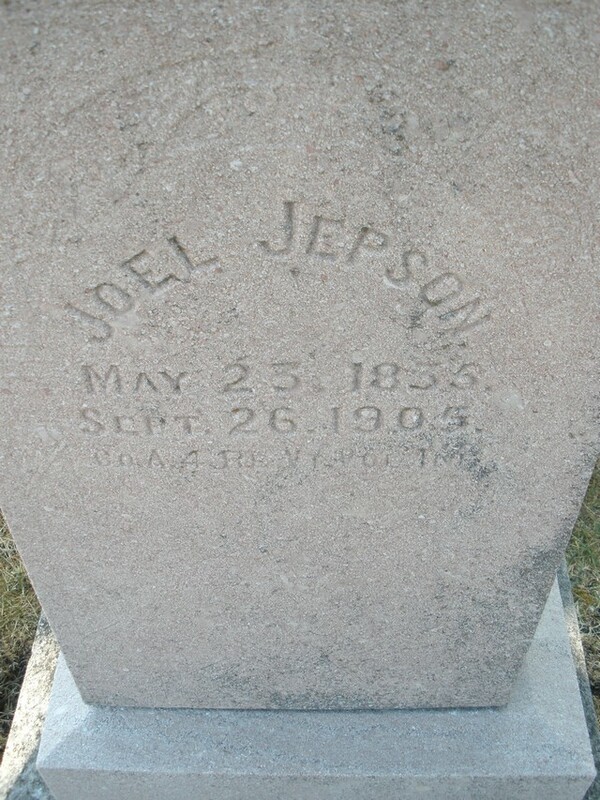 Joel Jepson, aged 78, carrying six Confederate bullets in his body, received during the Civil War, died in Kenosha, soon after rupturing a blood vessel.